For any beginners out there you may be wondering if there is anything exciting you can make with your new candle making skills. Of course there is! These can be a tricky task if you’re new to candle making. It sounds easy to do, for a 3 stripe candle you simply pour in your melted wax until one third of your jar is full. Once that has cooled you pour in another layer, wait again; then pour in a final layer. This is the coolest way of making candles. It’s also relatively easy to do as well! Don’t add any colors into your wax so it melts into a milky white. Once poured into your container, dip a stick/skewer into liquid wax coloring then dip it into the wax. Swirl away! You should get a pretty cool effect. These are a wonderful idea for any afternoon tea or chic shed decoration. Instead of using mason jars, votives or other normal containers, try upcycling an old teacup that isn’t used anymore. Simply pour in your melted wax and enjoy a crafty cup of tea with your candle. These are a fun way to decorate that hen do room or as a great present to a friend. 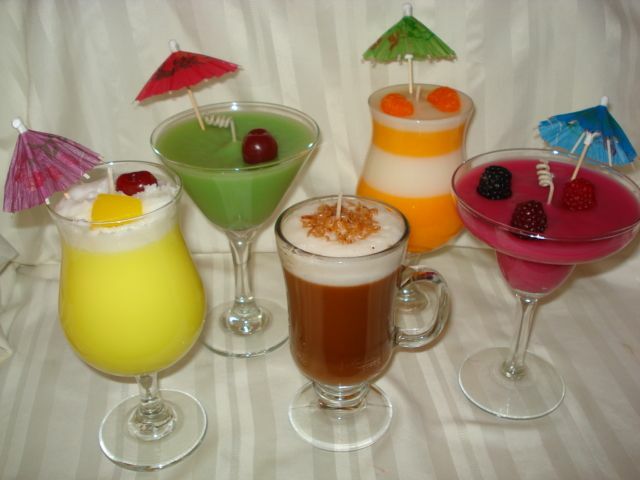 You can use various decorating techniques to get that mai tai or Cosmopolitan look. Use tiny umbrellas, dye colors, whipped cream; anything you can to get an alcoholic vibe to your candles. These are a fun alternative to the normal wax. Made using the same steps as the guide; the only difference being gelly candle wax instead of the usual paraffin or soy. Gel is perfect for kids purely because of its nature. The gel doesn’t harden like wax, it becomes spongy and doesn’t become the hot mess that wax is when heated. 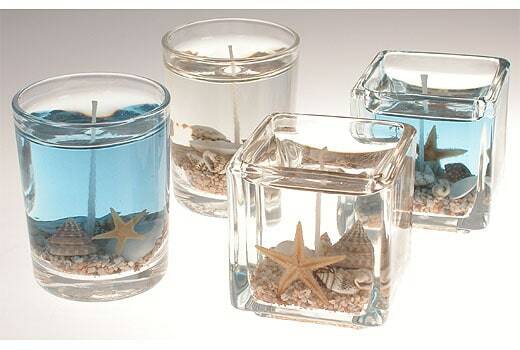 You can also add in awesome decorations while the wax melts as in the image below.